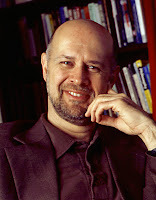 The uniqueness of their thesis and approach in light of other moral apologetics contributions. Major objections against theistic ethics. What it was like to co-author and attempt to write for a broader audience beyond just for professional philosophers. How their argument attempts to respond to objections from naturalists and "radical voluntarists"
How atheism and nihilism are related and unrelated. Why they think a Calvinistic concept of God is problematic for a moral argument for God's existence. Why they argue for a particular version of voluntarism for understanding moral obligations and divine command theory. How natural moral law theory figures into their discussion. What their discussion contributes to understanding the problem of evil. How distinctive Christian teaching advances and benefits the discussion on "theistic foundations of morality." ... and so much more (including a sneak-peak at their forthcoming book, where they intend to offer a “full on assault on naturalistic ethics"). 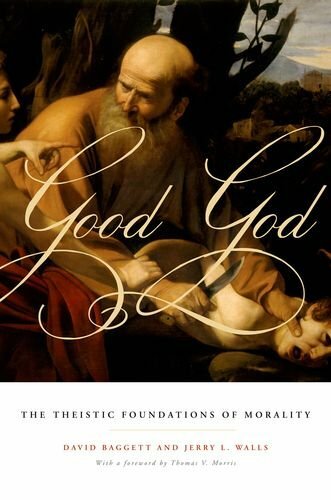 Good God pulls together various loose strands (from various perspectives, questions, approaches, thought-influencers) in order to do some work regarding the “theistic foundations of morality.” Whether from older or newer sources, who has provided formidable influence on your thinking in this area? Baggett and Walls: This is a great question. There’s no doubt but that our work was only made possible by our standing on the shoulders of giants in the field of philosophy. All sorts of classical philosophers could be mentioned whose influence should be obvious, from Plato to Scotus to Descartes to Kant; but allow us to mention some of the more contemporary thinkers whose work has had a huge impact. Robert Adams exerted a formidable influence with his seminal Finite and Infinite Goods and his work on Leibniz. Al Plantinga and Tom Morris immediately come to mind for work they did in the metaphysics of modality and implications of Anselmianism. Phil Quinn, John Hare, and Alasdair MacIntyre leap to mind for their ground-breaking work in ethics. Those are some of the most important thinkers without whose work ours would not have been written. The two major opponents of your moral apologetics seem to be naturalists and also “radical voluntarists” or “Ockhamists.” Is that right? If so, why these opponents? How are they similar and different in their objections? Baggett and Walls: Well, we’re certainly attempting to persuade both of these camps that they’re missing something. The radical voluntarists—here we largely defer to tradition by casting them as “Ockhamists”—fall prey to the horn of the Euthyphro Dilemma that would render morality arbitrary and vacuous, a matter of divine caprice. We reject the universal possibilism that such a view entails. Some things God can’t do; the Bible itself says so. God can’t commit suicide, deny himself, lie, or, so we argue, make the torture of children for fun morally right. Such constraints on God are internal to his character and signs of his perfection, not liabilities or threats to his sovereignty. So the voluntarists, we think, are wrong here, because by saying it’s the divine will that ultimately determines moral truth, they lose the capacity to rule some things out by pointing to the perfection of God’s character. In this way we resonate more with Thomists than radical divine command theorists. But we are very open to a properly nuanced variant of divine command ethics that avoids such radical voluntarism. 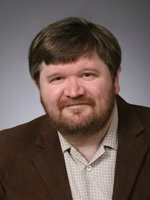 Naturalists, on the other hand, deny God altogether; but speaking hypothetically, they would likely insist that, if God existed, he would still be irrelevant to ethics because his commands would, at most, clue us in as to what morality says or threaten wrongdoing or promise rewards for good behavior, rather than determining its contents in any sense at all. God might be relevant to ethics epistemologically or prudentially, in other words, but not ontologically. Such categorical nonvoluntarism strikes us, as classical Christians, as fundamentally wrongheaded, because if God exists surely he’s more relevant to ethics than that. Indeed, we argue at length that the evidence would suggest that theism makes considerably better sense of such moral commitments as moral freedom, responsibility, duties, and rights than naturalism can. When atheists insist they believe in these moral facts, we immediately share with them common ground and can generate a good discussion about what best explains such moral truths. This is the beauty of moral arguments for God’s existence: at their best they start with what most people already claim to believe strongly.